I’m one of the many that lives on a road where people drive far faster than I’d like. Well for those of you ready to take action, you can take a cue from Bill Angus. He managed to make a bird feeder that actually makes drivers slow down. 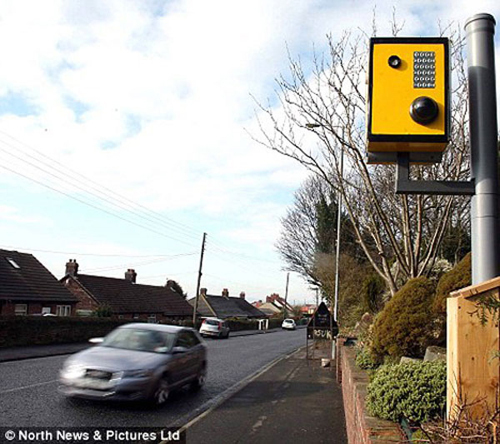 He did it by making it look like a speed camera. It’s definitely one way to get people to follow the speed limit just a little closer. The retired police officer from UK put the bird feeder and house combination right by the road running alongside his house. So far it has actually managed to get a lot of drivers to slow down. Of course it might not work so well now that he’s posted information on the internet about his little trick. I’m sure it will at least fool a couple of people that have managed to live under a rock. Ironically Mr Angus is facing charges from his local court for technicalities varying on laws such as ‘impersonating a police officer’ and so on. They need to sort out their priorities, he has reduced accidents and speeding in his area dramatically!